STORY AS REPORTED BY DR. MERCOLA – MISSPENT SMART GRID FUNDING – Click here for report, video interview with author and podcasts. 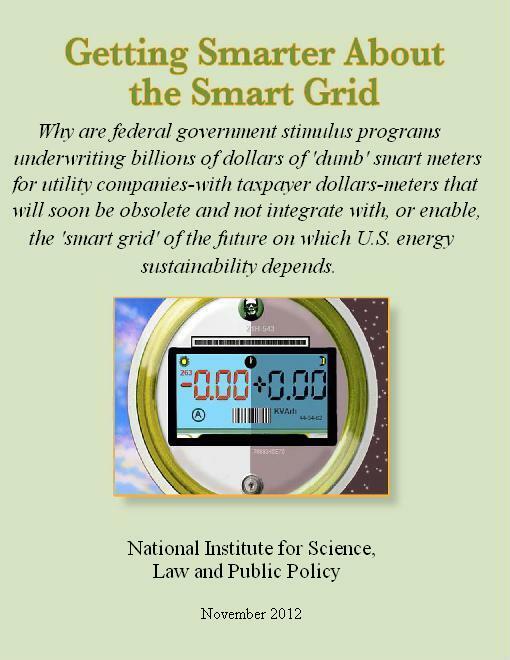 STORY AS REPORTED ON SMART GRID NEWS – SMART METERS ARE INTRUSIVE AND DO NOT DELIVER PROMISED ENERGY BENEFITS article by Cheryl Kaften. “Getting Smarter About the Smart Grid” is authored by smart grid technology expert Timothy Schoechle, PhD, a former faculty member of the University of Colorado, College of Engineering and Applied Science. Schoechle, who has been engaged in development of electric utility meters, home automation systems, gateways, and energy management systems for over 25 years, and who sits on several international standards setting committees related to the smart grid, calls the smart meter being rolled out across the U.S. “a canard—a story or hoax based on specious claims about energy benefits….” Click here for full article from Smart Grid News. Click here for full report by Dr. Schoechle.